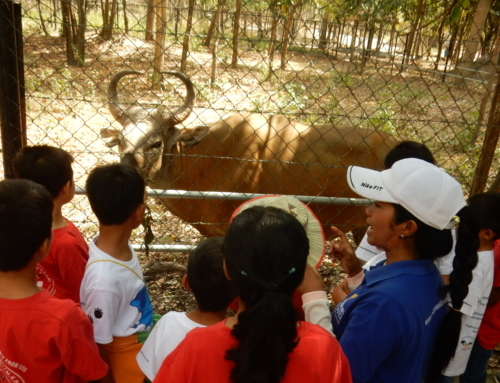 In late August, the Kouprey Express Team (KE) conducted two trips to Phnom Tamao Zoo, Takeo province. 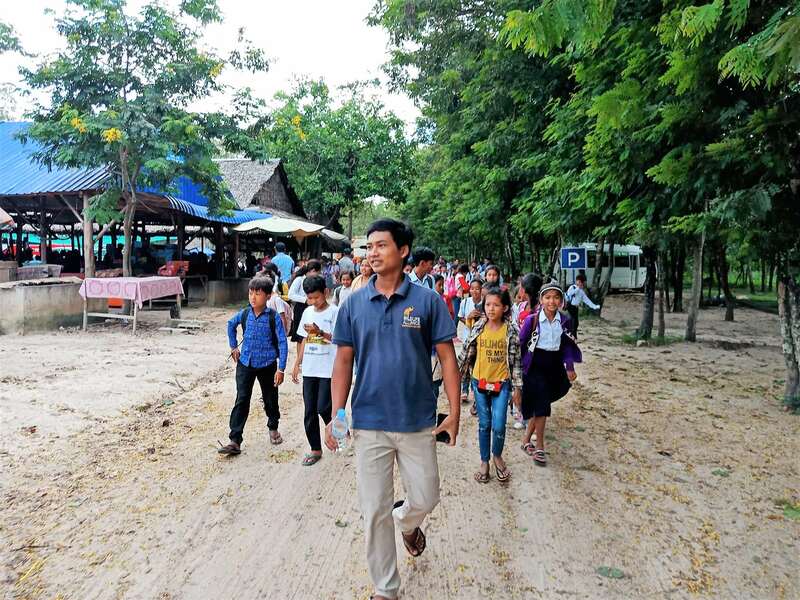 There were 92 teachers and 578 students from Kampong Speu province’s 4 core-schools – having Prambeymoom, Samroung, Phumin, and Watbeng core-school. 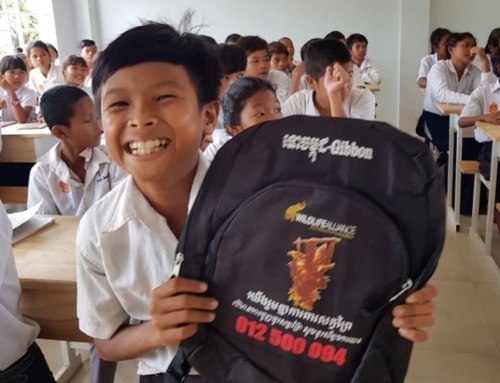 This was a yet another great, happy trip with one another as we have done so many times with communities and schools from all around Cambodia. 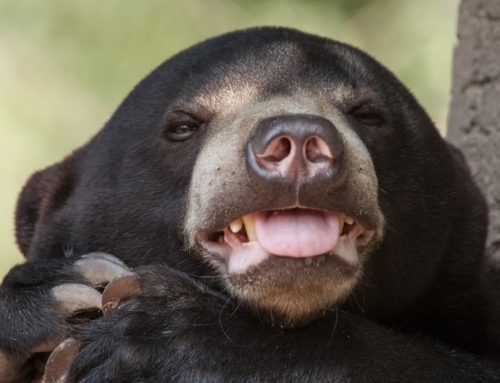 We continue steadfast in our mission so that all Cambodians know about wildlife and how to protect it, and also to give them an opportunity see firsthand the amazing natural heritage that can be found here and also the effects of human (in)action that is threatening their survival, such as poaching, snaring, and deforestation. 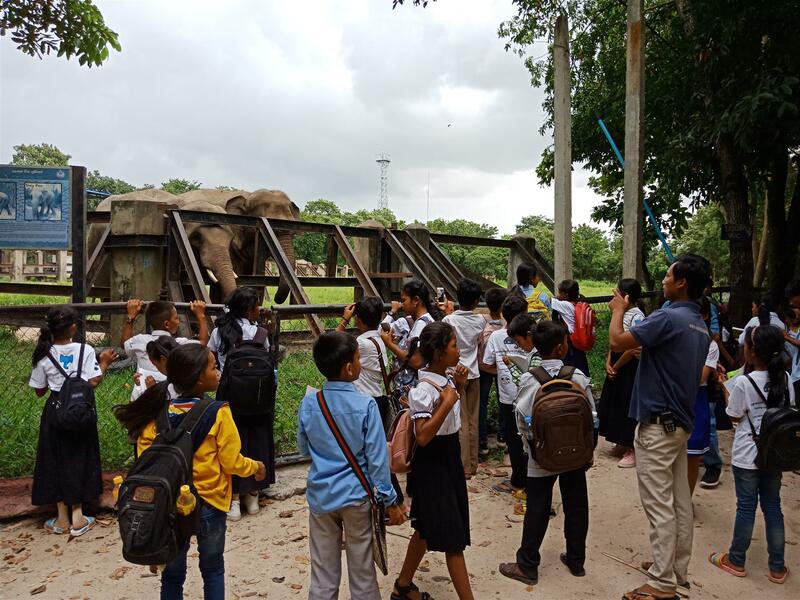 We hope that the community members and especially the younger generations will set a great example for older generations and generations to come and be inspired to join together to protect Cambodia’s wild animals and forests after visiting Phnom Tamao with us. 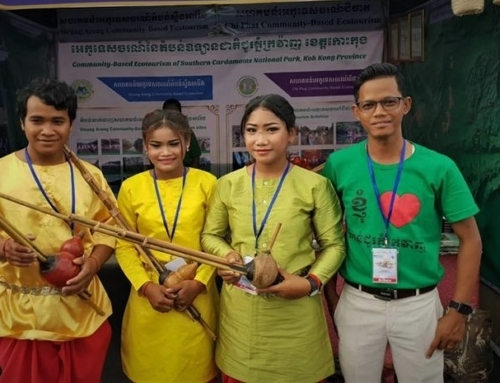 Planted 32 trees in the compound of Phnom Proek primary school in Battambang province with the participation of students, the teachers, and school principal. 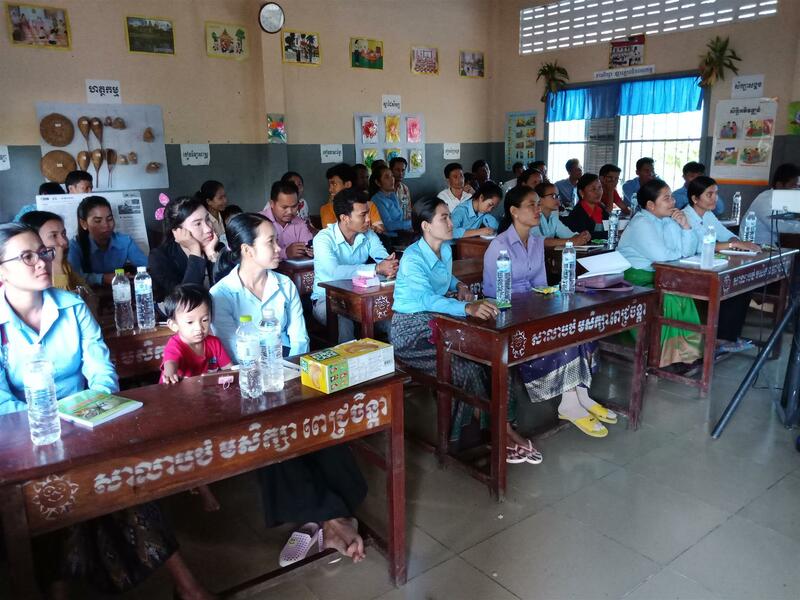 Provided environmental training on climate change, waste and sanitation management, and biodiversity protection to 48 (31 female) teachers at Phnom Proek and Pech Chanda primary schools in Battambang province. 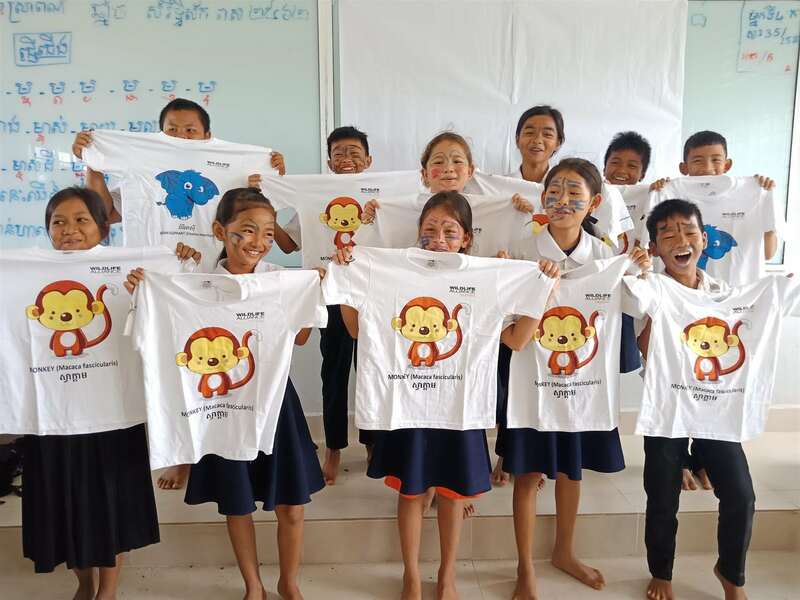 In order to strengthen its cross-border efforts, the KE team conducted wildlife protection lessons with 624 (298 female) students in two primary schools – Phnom Proek and Pech Chanda – along with the Cambodia-Thai border. 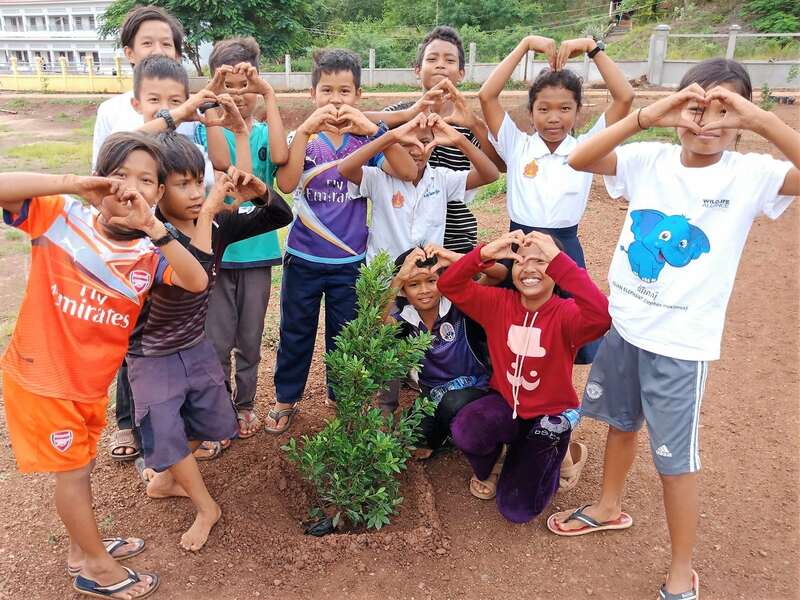 After classroom lessons and activities in the morning, we planted 32 trees in the compound of the Phnom Proek school in the pouring rain. 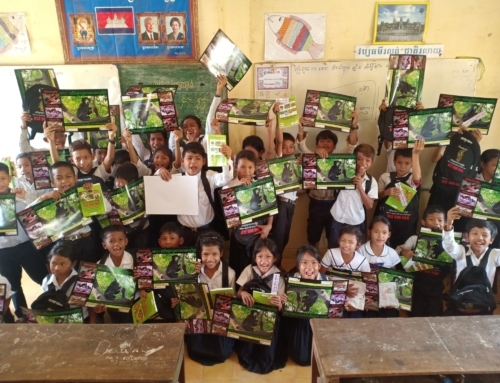 The school director along with teachers and students helped us dig holes and provided tools and other materials we needed to plant those trees. 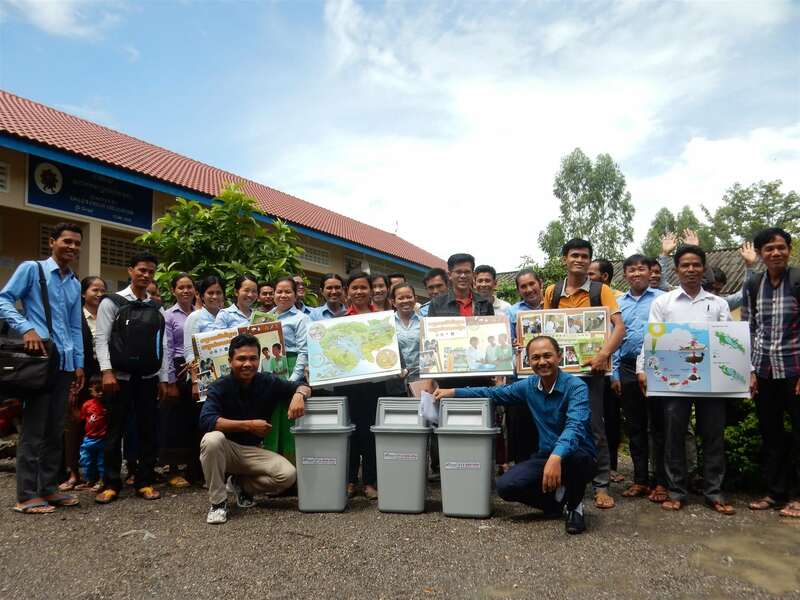 In the same trip, we arranged teacher training on three modules – climate change adaptation, waste and sanitation management, and biodiversity conservation – for 48 (31 women) teachers at Pech Chanda and Phnom Proek schools in the whole day. 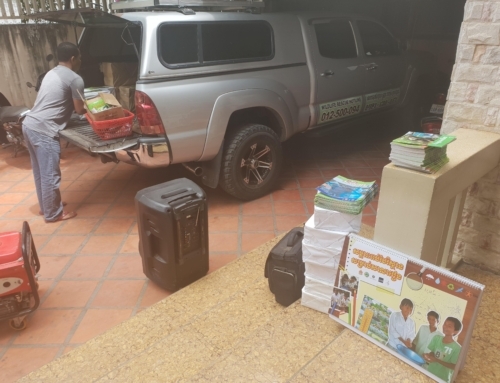 Usually, our teacher training lasts three full days and covers 6 modules but due to their schedule they could not commit the full three days but we were pleased to be able to cover half of the modules and ensure they know how to use the flipchart in its entirety. 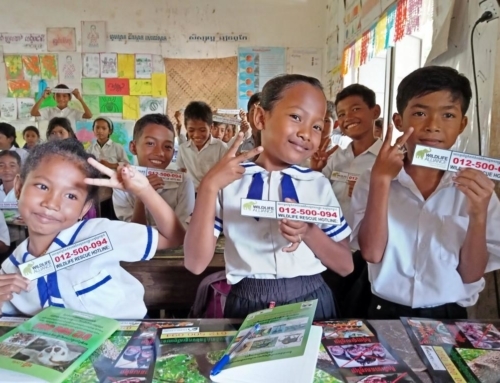 KE team provided wildlife and habitat protection lessons to 559 (310 female) students from 4 core schools at Samrong, Brabie Moum, Trapiang Lpov, and Wat Tbeng elementary schools in Kampong Speu province. This area has been a hotspot for the WRRT’s investigations and recent busts so the KE’s outreach initiative are complementing the ongoing efforts by the WRRT. 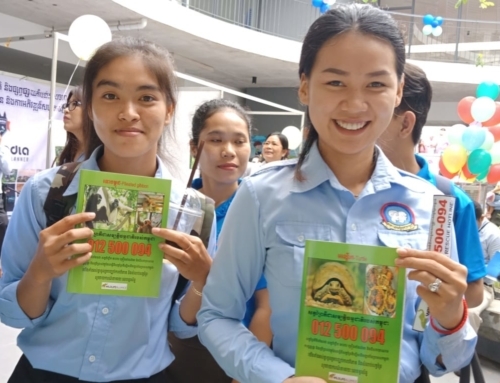 As part of awareness on wildlife and habitat conservation, KE team brought 670 students and teachers from 4 core schools such as Wat Tbeng, Samrong, Brabie Moum and Phoumin to visit PTWRC to increase complement their conservative knowledge after their classroom lessons the previous weeks.